This crowdfunding project has ended, but you can still support the FSCA Conference. Thank you for your continued support! 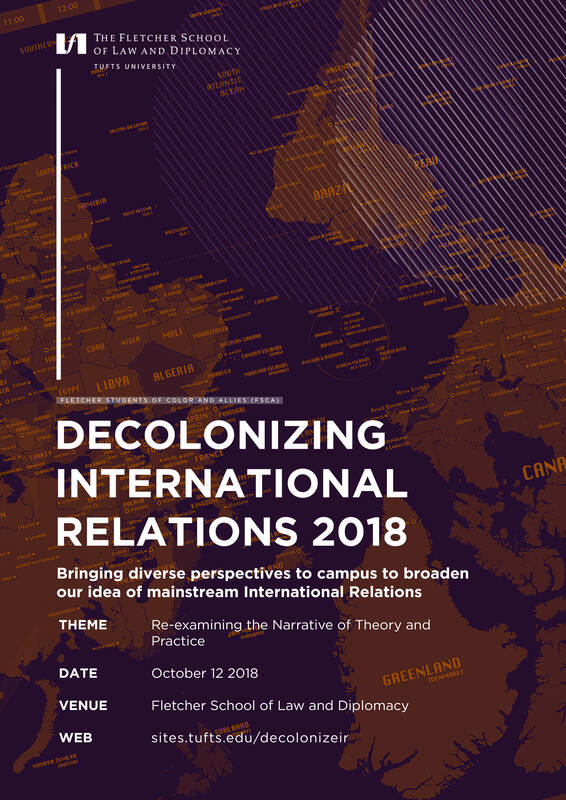 The Fletcher Students of Color and Allies (FSCA) are excited and proud to host the first-ever "Decolonizing International Relations" conference on October 12, 2018 at The Fletcher School of Law and Diplomacy! The inaugural conference will revolve around the theme, "Reexamining the Narrative of Theory and Practice." As students of international relations, we recognize the need to incorporate diverse perspectives into currently existing dialogues around foreign affairs. By hosting this conference, we want to make space for non-traditional perspectives to be heard, recognized and challenged - a valuable process that future policymakers (like us!) must be well-versed in. This conference will bring together academics, scholars, practitioners and students of different backgrounds to discuss issues that impact international relations and introduce perspectives that are often understudied within this field. We're asking for YOUR help to make this event a success! Now, almost two decades into the 21st Century, a new era will require new ideas. We intend to continue the Fletcher School's legacy of making valuable and relevant contributions to the teaching and practice of international relations - a tradition that will only be enhanced by broadening our perspectives and understanding of the world. Please feel free to browse our website for more information about the conference. Thank you for your support! Help us provide breakfast and lunch for conference participants, guests, and panelists. Help us show our appreciation to our speakers for volunteering to take time from their busy schedules to share their work and expertise with us. Support our efforts to produce creative materials that will help us spread the word for this conference and encourage students and faculty members from the greater Boston area to attend. Sponsor a small working lunch session to provide an opportunity for conference participants to learn from and connect with field practitioners in a less formal and more intimate setting. Help us ensure that we can bring the most diverse, experienced, and knowledgeable people to speak at our conference and challenge our participants to engage in this rich and transformative experience.